Pretty soon, it’ll be time to bundle up and the struggle to maintain cuteness and coverage simultaneously will try and wreak havoc upon our fashion choices. 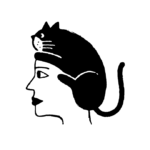 However, it will fail miserably if you’re wearing one of these animal scarves that “bite.” Thankfully, in this case, the term “bite” doesn’t refer to those itchy fabrics that irritate the skin. 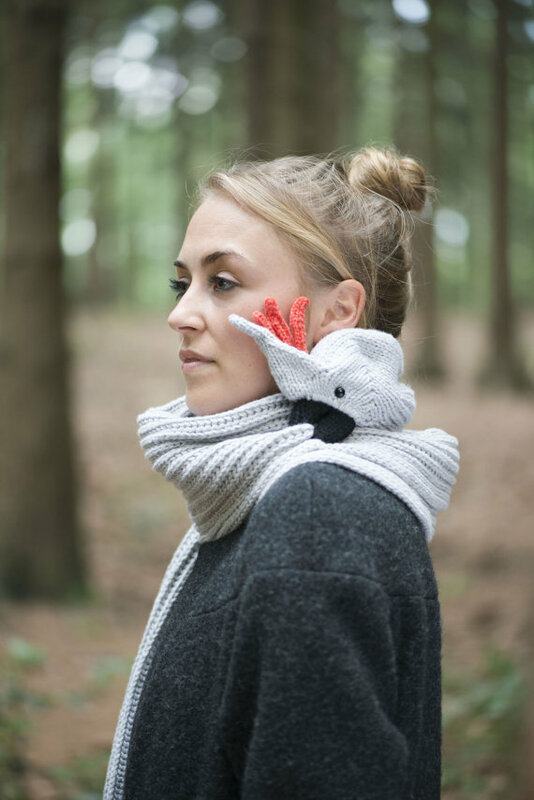 Instead we mean these unbelievably cute 3-D scarves created by Etsy shop owner Nina Führer. 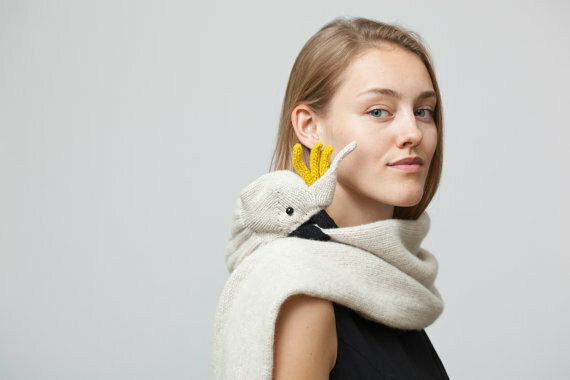 Parrot scarf? WANT, WANT, WANT. 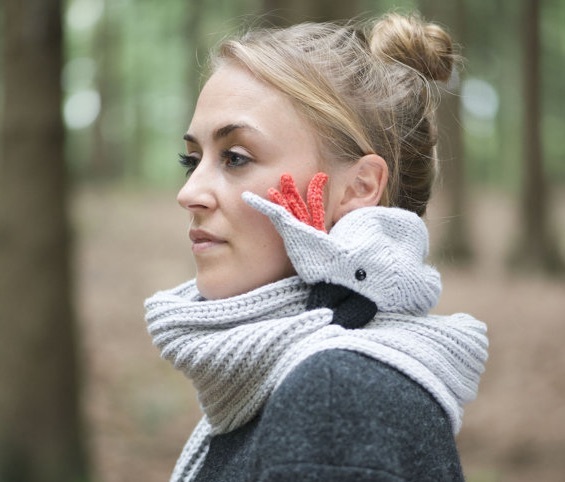 According to Führer’s production description, the beaks contain a clasp that keeps the scarves tightly fastened. 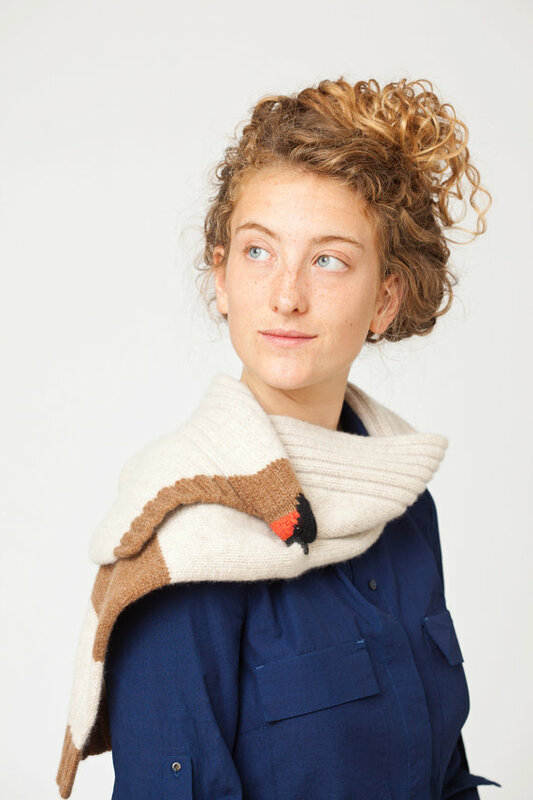 They’re available for adults and children and can be custom made, so feel free to expand upon your bird knowledge and place ALL of the orders before these ah-mazing scarves sprout wings and fly off the Etsy shelves.